Not having access to a working vehicle can cause much inconvenience to a person’s life. The inability to drive one’s car can be caused by a host of reasons such as the need for ignition switch repair or ignition replacement or even losing your car keys. If this is your situation than 858 Locksmith can help you out. We provide complete locksmith service along with ignition switch repair and replacement for San Diego, CA and Surrounding areas. We understand the importance a vehicle has on your everyday life and as a result, we have dedicated our professional services for your entire ignition switch repair and locksmith needs. All of our technicians have been properly trained and are available to provide the best locksmith and ignition repair services in the area. We have over 5+ years experience and are well qualified to repair or replace your ignition switch. We offer up front pricing for all of our customers so they will know the cost of our services before you agree to them. Other competing companies do not offerup front pricing and as a result, customers are stuck paying unfair charges and fees. 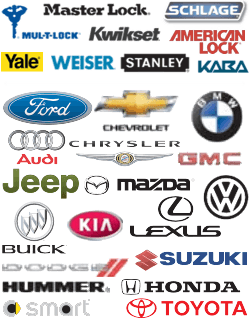 Ignition switch repair and replacement is not the only services that we are able to provide for you. Our mobile locksmiths are able to provide you with automotive locksmith services. If you have lost your car keys then our expert technicians will be able to provide you with a car key replacement for your foreign and domestic vehicles. Our fast and friendly technicians are able to come to your aid in a timely manner. No need to worry about waiting around for hours in order to get assistance. Many competing companies have customers waiting for help for hours. Do not let this be you. We know how important time is and we refuse to waste yours. We have a 30 min response time because we know that people have busy lives that they must attend to and do not have all day to wait for a locksmith service technician. In addition to showing up in a timely manner our expert technicians are able make repairs to your ignition or get you into your vehicle in no time. Some people make the mistake of trying to address their ignition and key issues on their own. A video on YouTube may tell you that fixing these issues are easy, but in actuality they are not. Cars today include complex ignition and lock systems. In the event that you are trying to make repairs on your own, you can easily damage these particular systems. Many car repairs today require special tools. If a person has not been trained to use these particular tools, then he or she could easily hurt themselves. Also, trying to repair your own vehicle can cause more harm than good. More damage to your car means that you will have to pay more money on repairs if you want to get your vehicle back working properly. Instead of taking repairs and lock issues into your own hands contact a professional. We will be happy to answer your emergency call and come to your rescue. At 858 Locksmith we are licensed bonded and insured and provide our customers with 24/7 locksmith service. We understand that not all emergencies occur between the hours of 8 am to 5 pm. And for these types of emergencies, we are prepared. If you need us at 4 am we will be ready to service your vehicle. Just give us a call and one of our highly trained technicians will be able to show up at your location in a timely manner. If you are in need of a company that offers complete locksmith service, ignition switch repair, or ignition replacement while in the San Diego, CA and surrounding areas then give 858 Locksmith a call. Our mobile locksmiths offer fast and friendly services to you with a 30 min response time. Don’t hesitate to call us at any time, our 24/7 locksmith service will be happy to service you. 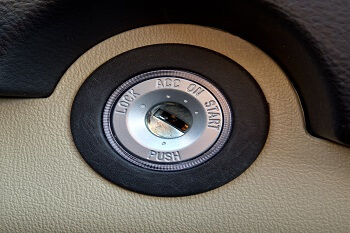 Ignition Switch Repair https://858locksmith.com/ignition-switch-repair/ 4.1/5 based upon 28 reviews.